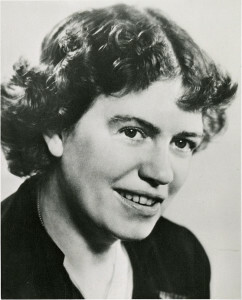 Mead was a student of pioneering anthropologists Franz Boas and Ruth Benedict, earning her Ph.D. in 1929. She wrote 23 books during her long career, beginning in 1928 with Coming of Age in Samoa, a bestseller and a classic study of adolescence in an “undeveloped” region. Mead popularized anthropology’s relativistic approach to culture, enabling many of her readers and lecture audiences to overcome ethnocentrism and appreciate our common humanity. Although many scientists questioned Mead’s reliance on observation over statistics and her absolute belief in cultural determinism, the force of her charismatic personality could not be denied, and she surely advanced popular interest in the human sciences.